The suggestion caught people involved in the event’s production, where planning begins at least six months in advance, off guard. “Clear History” didn’t exist; it was barely an idea. But organizers still scrambled to build its announcement into Zuckerberg’s F8 keynote address. They’d already scrapped plans to unveil Portal, a video calling device that Facebook’s leadership thought might be seen as too invasive given the company’s predicament. Facebook has long portrayed itself as an advocate for user rights. But former employees and critics say the company’s true ethos has often been in opposition to this. Facebook’s communications around privacy have historically been opportunistic and protectionist, deployed to cover up for the last transgression from its “move fast and break things” ideology — from the 2007 Beacon program, which allowed companies to track purchases by Facebook users without their consent, to the 2010 loophole that allowed advertisers to access people’s personal Facebook information without permission. “Sometimes we move too fast — and after listening to recent concerns, we’re responding,” Zuckerberg wrote in a 2010 op-ed in the Washington Post. That was just before the company agreed to a Federal Trade Commission consent decree, which charged that Facebook had routinely changed users’ privacy settings in order to obtain their information. The company is currently negotiating with the FTC, which has been investigating whether or not Facebook violated the terms of that consent decree and should be punished. 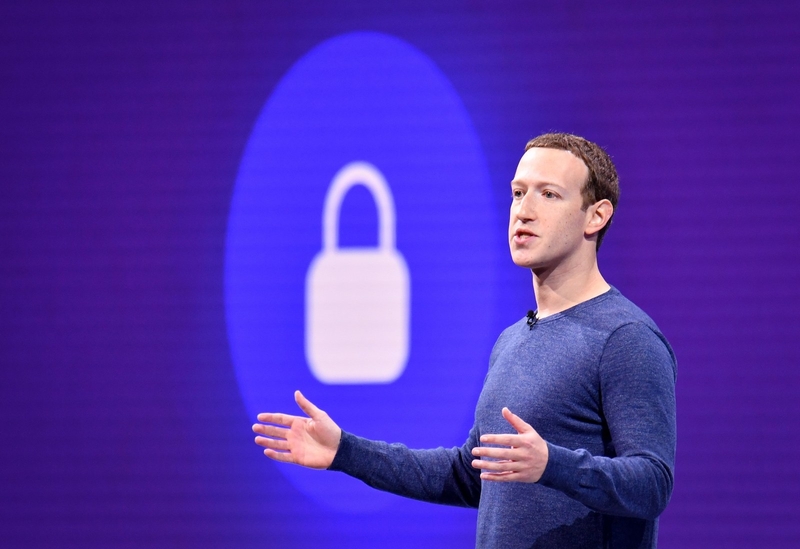 Last spring, as Facebook dealt with fallout from Cambridge Analytica, compliance with Europe’s new General Data Protection Regulation (GDPR), and renewed attention on how it tracks all internet users following Zuckerberg’s ten hours of congressional testimony in April, the company’s ask-forgiveness-not-permission playbook was in plain view. It took out full-page newspaper apologies, placed its chief executive on podcasts and televised interviews, and sent Sandberg to meet with state attorneys general and lawmakers behind closed doors. Facebook CEO Mark Zuckerberg speaks during the annual F8 summit in San Jose, California, last May. “Unfavorable publicity regarding, for example, our privacy practices, terms of service, product changes, product quality, litigation or regulatory activity, government surveillance, the actions of our advertisers, the actions of our developers whose products are integrated with our products … has in the past, and could in the future, adversely affect our reputation,” the company stated in a January financial filing. The statement goes on to outline the “intense media coverage” surrounding Cambridge Analytica and the possibility of negative publicity to adversely affect the company’s size, engagement, user loyalty, and, in turn, revenue. 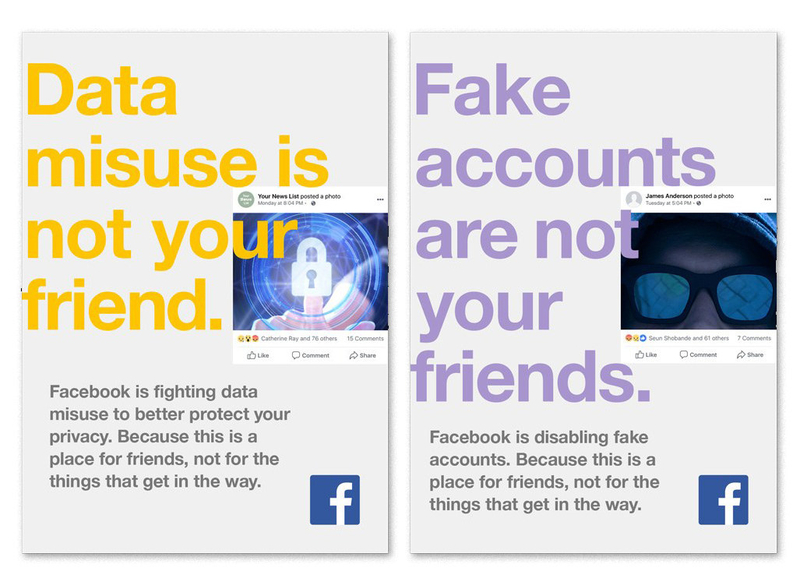 Facebook altered a global ad campaign to include the phrase “Data misuse is not your friend” last spring following the Cambridge Analytica scandal. Mark Zuckerberg describes the Clear History tool at Facebook’s F8 developers conference last May.